When you say TGIFridays, you think of good times and good food in a casual and fun dining ambiance. From appetizers to desserts and beverages, they always put a premium on they dishes they serve.As if their extensive menu is not enough, Fridays reintroduces their Jack Daniel's Triple Barrel Combos. The combos come in huge portions and are meant for sharing. Together with Fridays signature Jack Daniel's sauce is one platter of our jack Daniel's favorites. The combo also come with refillable rice, corn on the cob and seasonal vegetables. 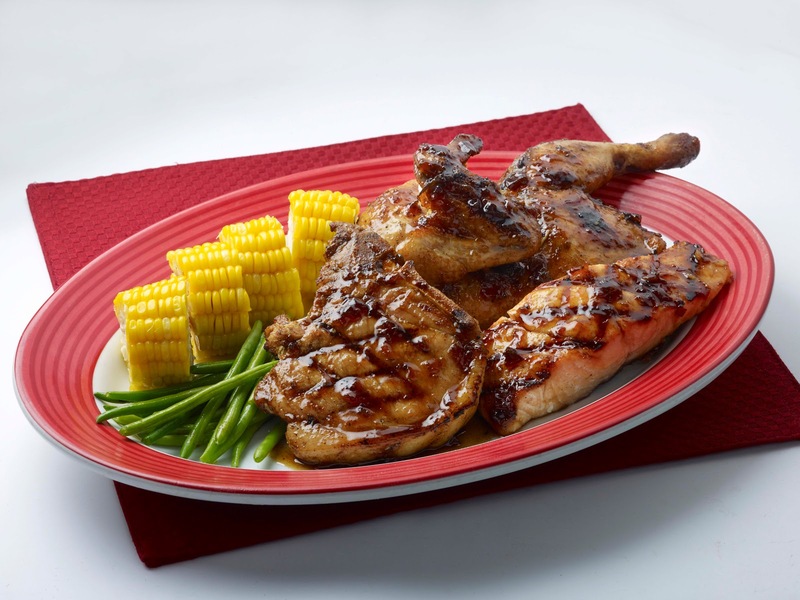 Chargrilled Norwegian salmon fillet, roasted chicken and grilled tender pork chop glazed with Jack Daniel's dauce. Served with corn on the cob, seasonal vegetables and refillable rice. 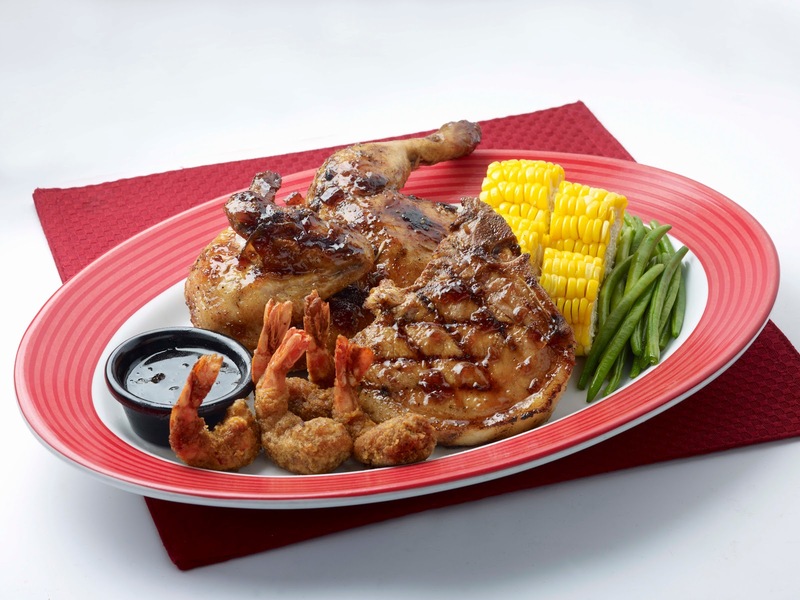 Roasted chicken, grilled tender pork chop and deep-fried battered shrimps. Served with corn on the cob, seasonal vegetables, original Jack Daniel's sauce and refillable rice. 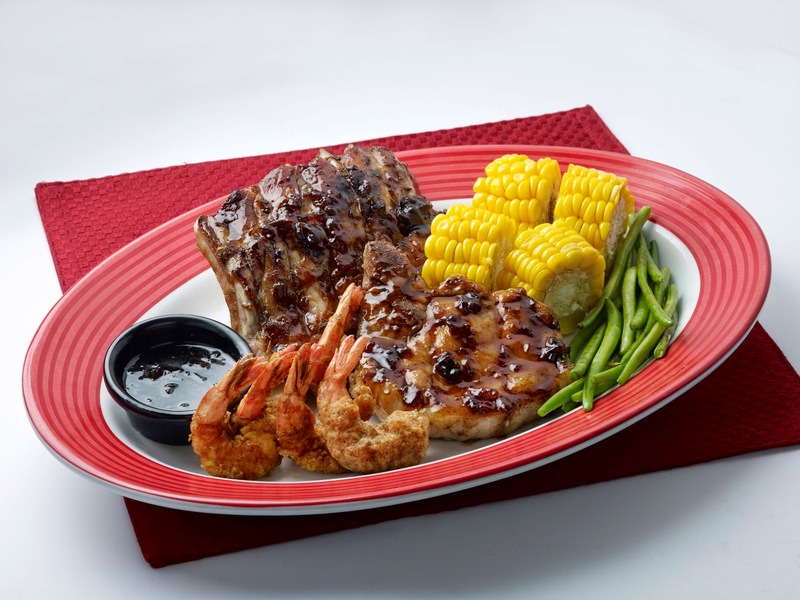 Half rack of Cajun-spiced pork ribs, grilled tender pork chop and deep-fried battered shrimps. Served with corn on the cob, seasonal vegetables, original Jack Daniel's sauce and refillable rice. TGIFridays is located at the ground floor resto row entrance Abreeza Mall.